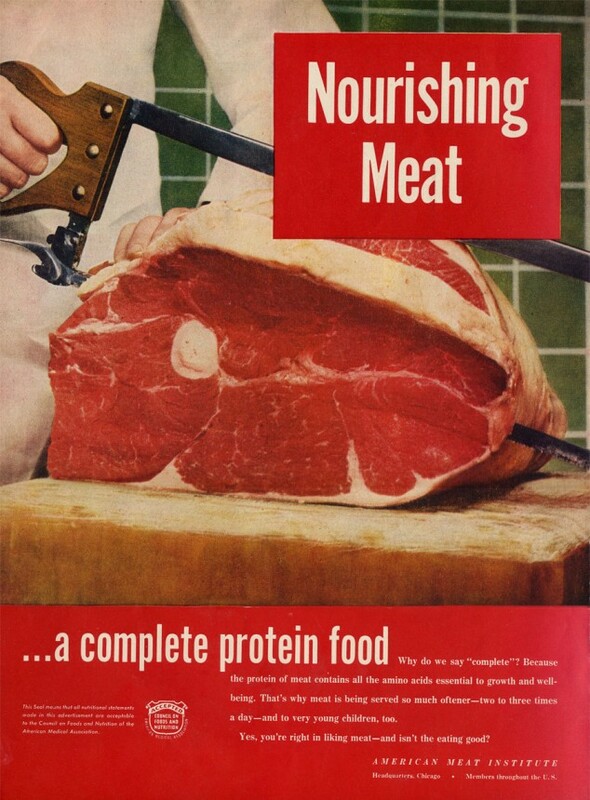 About ten years ago, when I was first getting started with vegetarianism, a big concern of mine was making sure that I was eating enough protein. 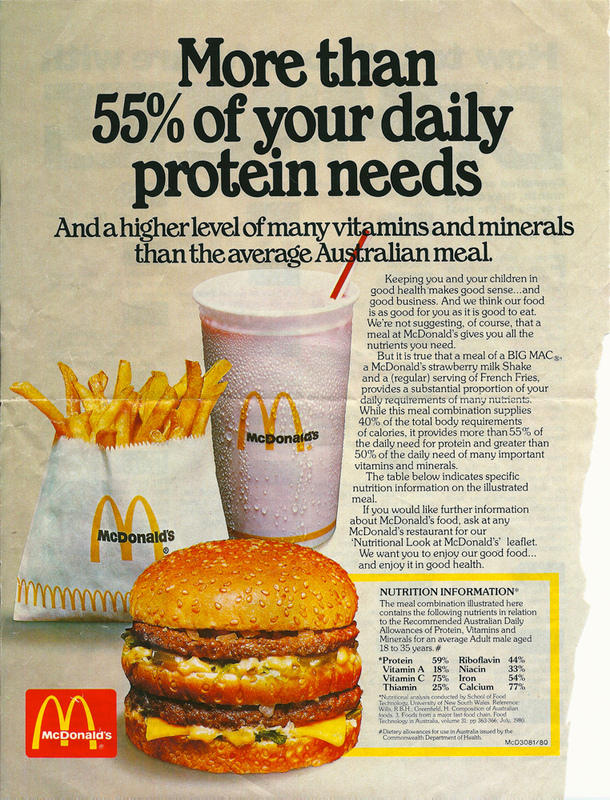 Today, I believe this was a result of my environment, as so many of the messages around me at the time told me that protein came from meat. So, for the first year of being a vegetarian I got a little obsessive with my protein intake. I can remember supplementing my diet with protein shakes made from soy milk, silken tofu, soy protein powder, and peanut butter. Often they contained about 25-30 g of protein. I realize now that these shakes were providing roughly 60% of my daily protein needs, all in one shot. Great, right? Maybe not. For one thing, I was not enjoying a variety of plant proteins. Plus, I was probably eating too much protein after taking into account the rest of my diet. What I learned from this experience is that while protein is important, there is no benefit from consuming more of it than I need. Often one of the first questions that often comes to mind when people think plant based diets is: “But where is the protein?”. It is easy to understand why, since for decades one of the main concerns for public health was to ensure enough energy and protein in the diet for proper health, growth and development. However, our current food system has overshot that issue and now we face a plethora of energy-dense (high calorie) foods. As well, high protein choices are generally much more accessible and bountiful than they once were. The fact is, that we do not need to eat meat, dairy or eggs for nutrients alone. Certain industries have done a good job in leading us to associate protein with animal sources. In fact, meat intake has increased in the past 50 years, and is expected to continue to rise in the future (1, 2). Generally, ensuring enough protein in the diet is not a major concern for those living in developed countries, since they likely take in more than they need to (3). The diet industry is also big promoter of eating high protein for weight loss. However, there are some health problems that have been reported by those following these types of diets for long term (4). Protein is an important nutrient. Our bodies use it for growth, body tissue repair, producing hormones, blood clotting, strengthening the immune system and providing energy. Not having enough protein can have some serious health effects, such as weight loss, muscle loss, and compromised growth in children (3). However, on the flip side, what happens when we get too much? How much protein do we really need? And can we really get enough of it from plants alone? Essentially, protein is made up by a series of amino acids. You can think of each amino acid as a puzzle piece. Arranging the puzzle pieces in a specific way will make a certain protein. When you eat something with protein in it, your digestive system will break apart all the amino acids (like taking apart a "puzzle") and use them to build new proteins (or a new “puzzle”) for whatever your body needs at that time. There are 9 amino acids that are essential to humans, which means we need to get them from our diet as our bodies cannot make them. It doesn't matter where those amino acids (puzzle pieces) come from, just as long as they are there when your body needs them. Plant based proteins are sometimes referred to as “incomplete” proteins. What this means is that most of them don't have all the essential amino acids in one complete package. Meats are referred to as “complete” proteins since they do contain all the essential amino acids. But remember what your body does with proteins – it breaks them down into individual amino acids (puzzle pieces) and rearranges them to make its own proteins. The good news is that although most plant proteins don't contain all essential amino acids, you can still get all the essential amino acids from a well balanced plant-based diet. Different foods contain different amino acids, so it is important to enjoy a variety of foods to get all the pieces to complete your puzzle. While adequate protein in our diets is important, getting too much of has no benefits to our health and high intake of animal protein can even lead to health problems. Animal sources of protein can contain saturated fat, which is associated with increased risk of heart disease (3).Diets high in animal protein might be hard of the kidneys, as it has been linked with decrease in kidney function (5). Eventually, this can cause damage to these vital organs, or can worsen kidney problems that already exist (3). You can read a bit more about this here. Making a habit of consuming too many animal protein foods can also cause us to not get enough of other nutrients that are important for health. For example, many while many animal proteins are high in iron and vitamin B12, they lack beneficial nutrients found in plant-based foods such as fibre, vitamin C and folate (3). With all the emphasis that some people put on getting enough protein, they might be surprised that it is recommended that only 10% to 35% of our calories come from protein (6). More than this amount, and we can start to run into health issues, as described previously. Also, keep in mind that those living in developed countries typically have more than enough protein in their diets. Generally, protein requirements for vegetarians is about 0.8 grams of protein per kg of body weight (0.8g/kg), which is the same as the general population. However, protein needs are a little higher for those following a plant-based/vegan diet because of the lower digestion and absorption of plant proteins. If you are relying only on plant foods to meet your protein needs, you will need to get about 1 to 1.1 grams of protein per kg of your body weight (7). (to figure this out, simply take your weight in lbs, multiply it by 2.2, then multiply that number by 1 or 1.1, eg. : # lbs x 2.2 = # kg, then # kg X 1.1 = grams of protein you need). For example, a woman weighing 140 lbs would need about 65g to 70g of protein per day following a plant based diet. A man weighing 165lbs would need about 75g to 80g of protein per day. It is easy to get enough protein eating plant-based foods (see the sample meal plan at the bottom of this page), and with a little planning it is also easy to get the right balance of amino acids. Many plant-based foods contain protein, the best sources are legumes, whole grains, nuts, seeds and some vegetables (see the table "protein content of some common foods" at the bottom of this page). Since different foods in the plant-based world contain different amino acids, it is important to get your protein from a variety of sources. The reason that we want to ensure that we get our protein from different sources is that some foods are good sources of certain amino acids, while lacking other amino acids. For example, legumes are a good source of the essential amino acids lysine and isoleucine, while lacking the essential amino acids methionine and tryptophan. However, grains are a good source of methionine and tryptophan, but are not a good source of lysine and isoleucine (3). As long as you include both of legumes and grains in your diet, you will get the right balance of these amino acids. You don't even need to have grain and legumes at the same meal to make sure you are meeting your needs. Your liver can store extra essential amino acids for when you need them, so just make sure you include them everyday. While animal proteins do contain the whole deal when it comes to amino acids, we can easily get all the amino acids we need from plant-based proteins. Plus, many animal proteins have other components attached to them that could harm our bodies in the long run (cholesterol and saturated fat), and plant proteins often have beneficial nutrients (fibre, vitamins). As a general rule, if you are eating enough calories to maintain your weight, you are probably getting enough protein as well. Maybe instead of focusing on the protein, we should shift to focusing on other equally important nutrients that can help prevent chronic diseases such as diabetes, cancer and heart disease. What magical compounds, you might ask? Those would be protective nutrients such as fibre, mono- and polyunsaturated fatty acids, and phytonutrients that we can get from a diet rich in whole, plant-based foods. Keep it simple, and form most of your eating pattern around legumes, whole grains, vegetables, fruits, nuts and seeds. (2) Daniel, C. R., Cross, A. J., Sinha, R. (2011). Trends in meat consumption in the United States. Public Health Nutrition, 14:4, 575-583. (3) Sizer, F. S., Whitney, E. N., Piche, L. A. (2009). Nutrition: concepts and controversies, first Canadian edition. Nelson Education, Toronto, ON. (4) Bernard, N. D., Lanou, A. J. (2004). Analysis of health problems associated with high-protein, high-fat, carbohydrate-restricted diets reported via an online registry. Physicians Committee for Responsible Medicine. http://www.pcrm.org/health/reports/analysis-of-health-problems-associated-with-high accessed March 23, 2015. (5) Lin, J., Hu, F. B., Curhan, G. C. (2010). Associations of diet with albuminuria and kidney function decline. Clinical Journal of the American Society of Nephrology, 5, 836-843.